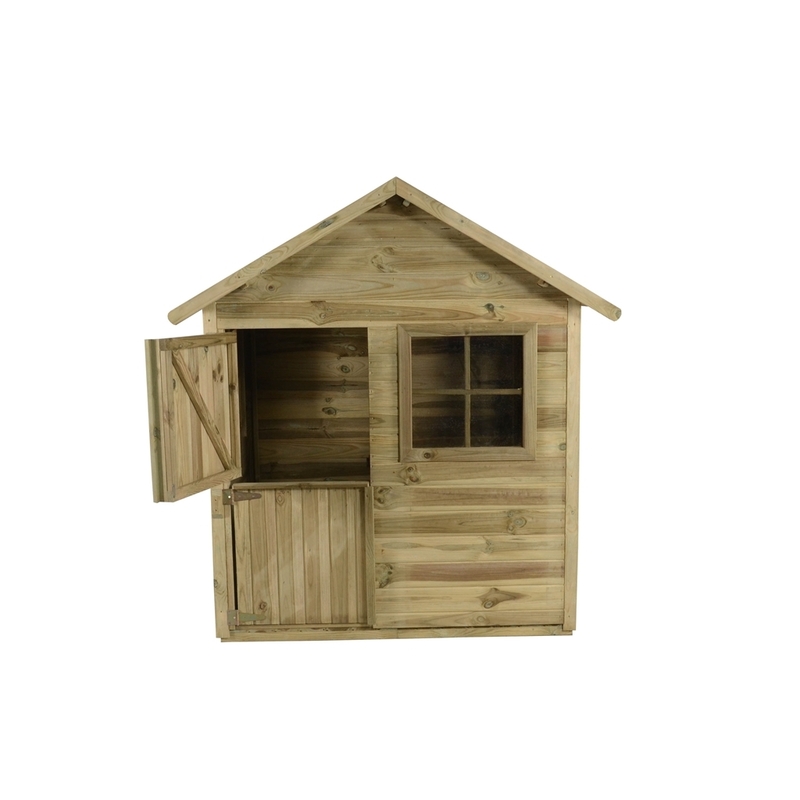 The sage playhouse is a charming and well finished outdoor playhouse complete with quality features. It has been completely child proofed so there is no need to worry about any safety issues. It has been built with pencil rounded framing, giving it a finger smooth touch and the magnetic catch on the door helps prevent trapped fingers. 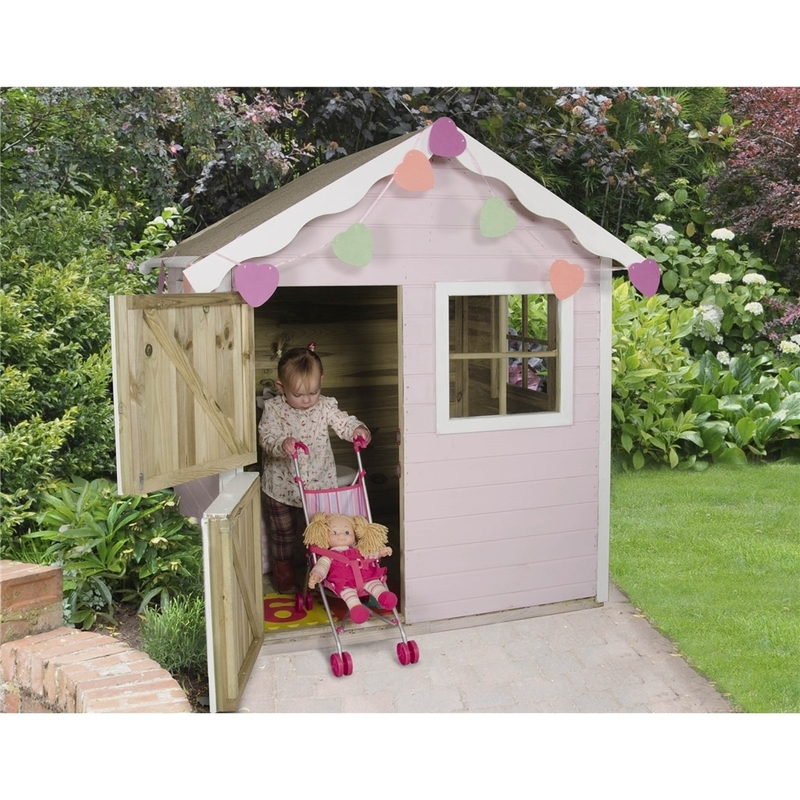 The playhouse comes with a stable door and the side window allows plenty of natural light in. Constructed with high quality pressure treated 12mm thick Tongue & Groove. A cosy and comfortable, compact playhouse. 3-styrene glazed windows for safety and natural light. Split stable door for flexibility and fun. 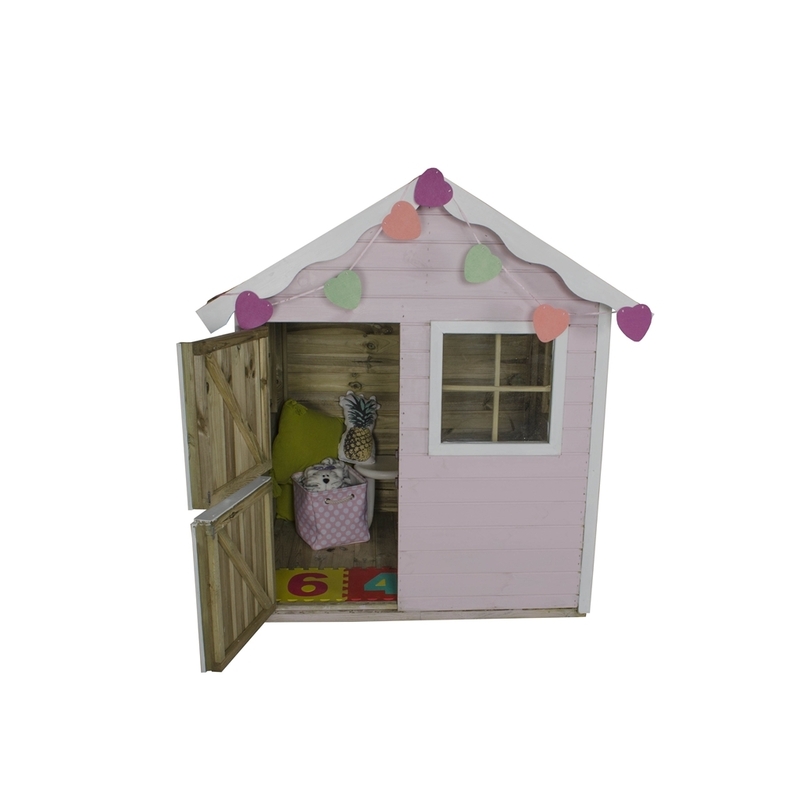 The new playhouse range all feature solid timber boarded floors and roofs and multiple styrene glazed windows to allow pleanty of light and enable parents to keep an eye on their children.